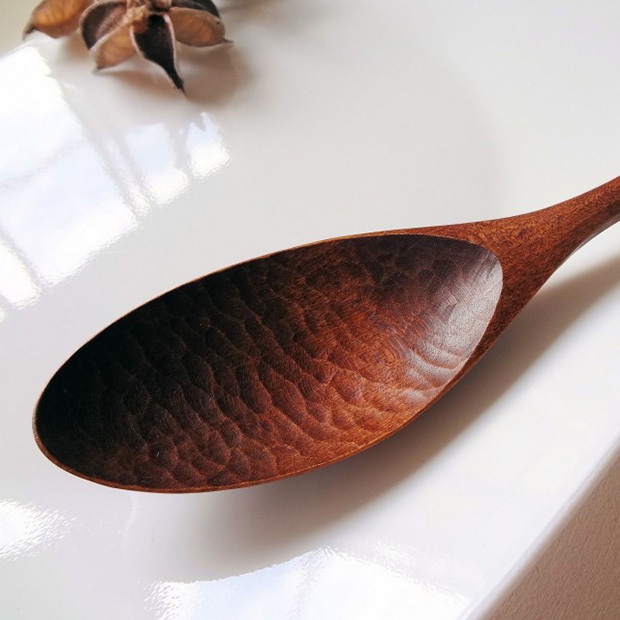 iichi has turned out to be a fantastic resource, I find myself searching through different craftsmen and makers on a regular basis. 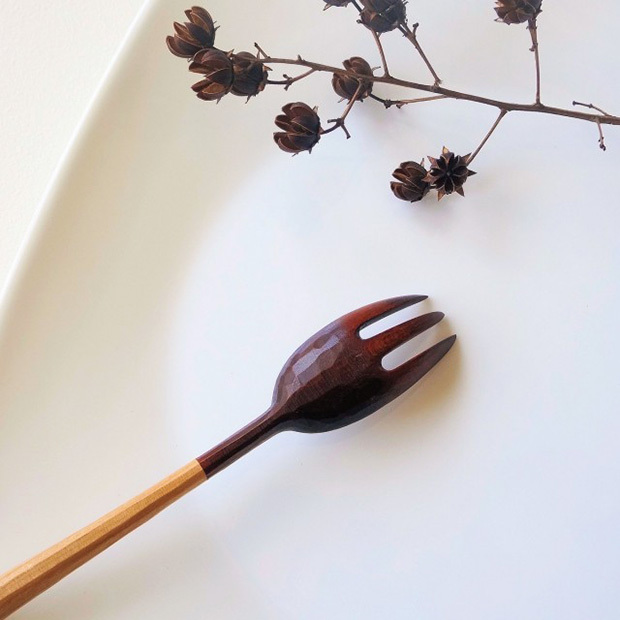 If you don’t already know, it’s a bit like the Japanese version of Etsy or Folksy, so you have all these different creatives selling their work online. Last time I presented the works of Fushimi Lacquer Workshop, all made by lacquer craftsman Fushimi Maki in Kanagawa, Japan. 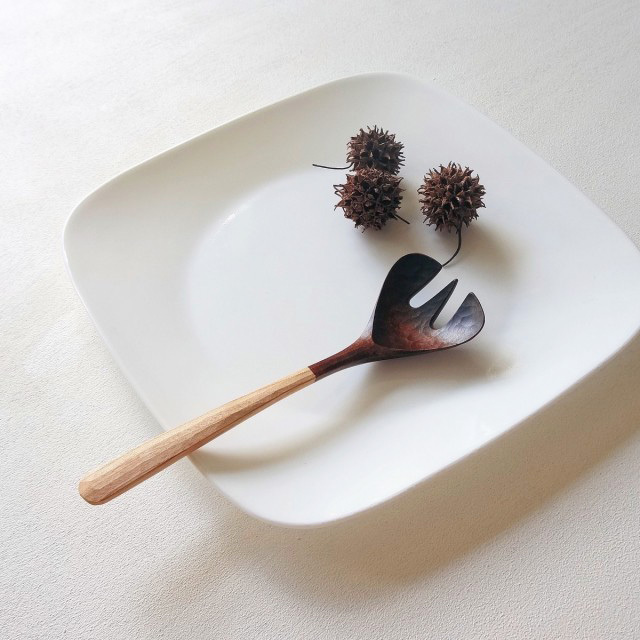 Today I’m showcasing some wooden cutlery by Japanese studio atelier TREE SONG in Tokyo. 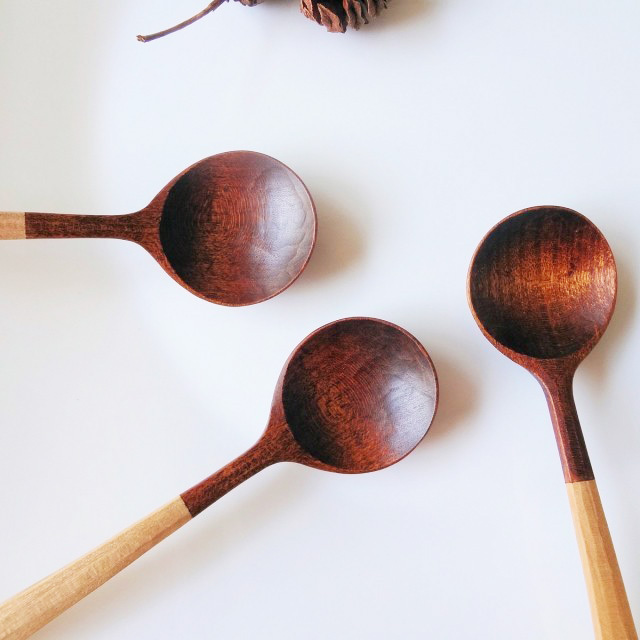 One of the main reasons why I picked up on this cutlery as well is because I’ve just had a new maker arrive in the store, so I’ve spent this week photographing his woodwork. These photos are pretty inspiring as I really love the grain and simplicity, although some might be put off by this I find it brings out all the details wonderfully. 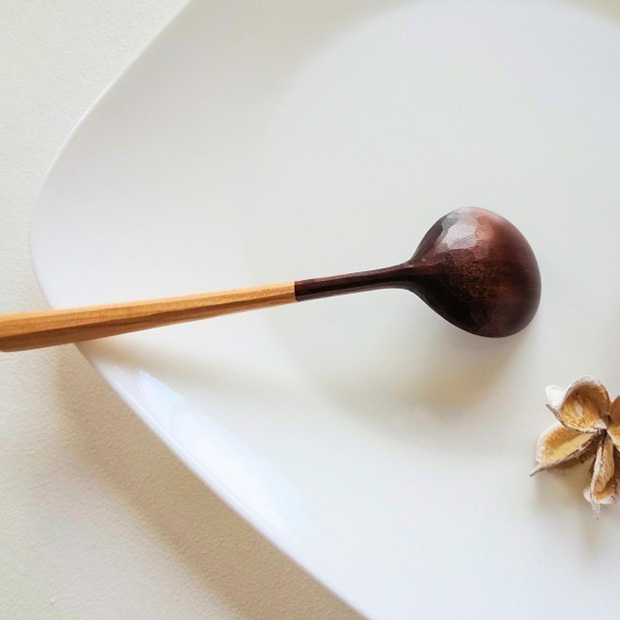 The above photograph is a great example of this, showcasing the chisel marks where Taisuke has shaved away the wood for the bowl of the spoon. 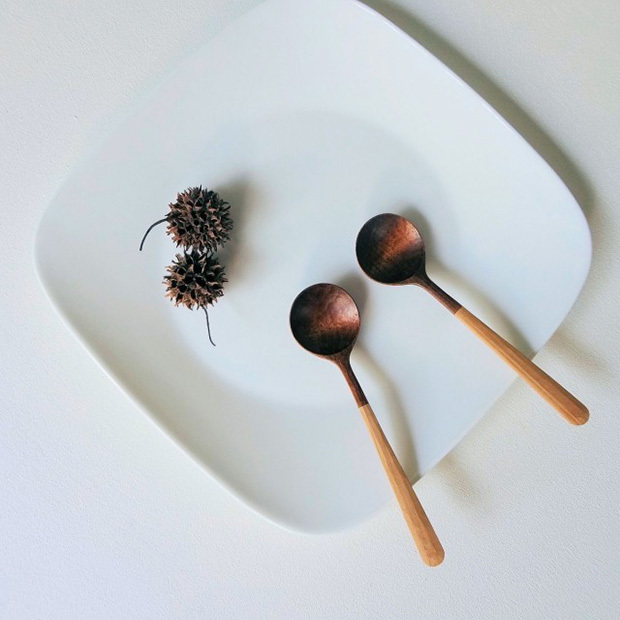 As expected, there’s quite a few photos like this of the cutlery on their iichi profile and a variety of toys that might inspire you as well. So why not make your way there now and see what catches your eye.